Seeking dental care can be a vulnerable experience for a number of reasons. Although it’s common for people to have fears associated with going to the dentist, the risk that their private information could be stolen and misused shouldn’t add to those feelings. Because of this, dental care professional should take extra care in protecting every patient’s right to privacy. 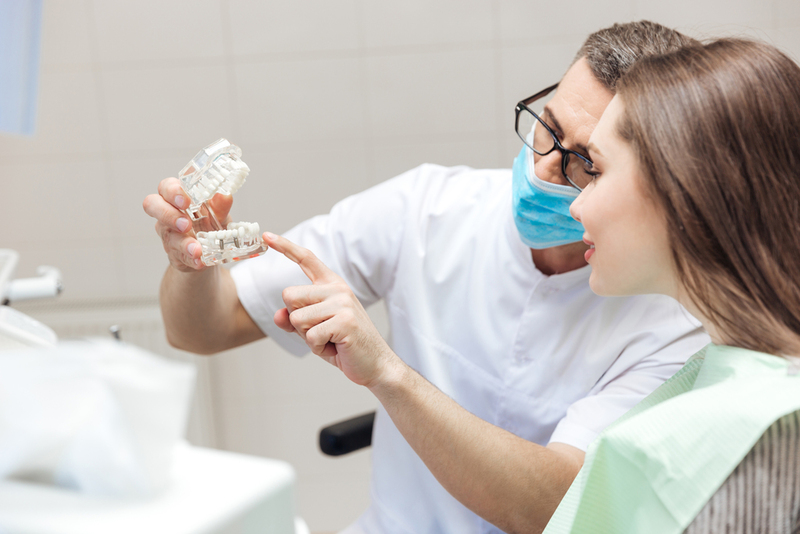 With new technologies regarding record storage as well as communication about procedures and scheduling, there is a greater need than ever for dental professionals to be diligent in protecting their patients’ information. 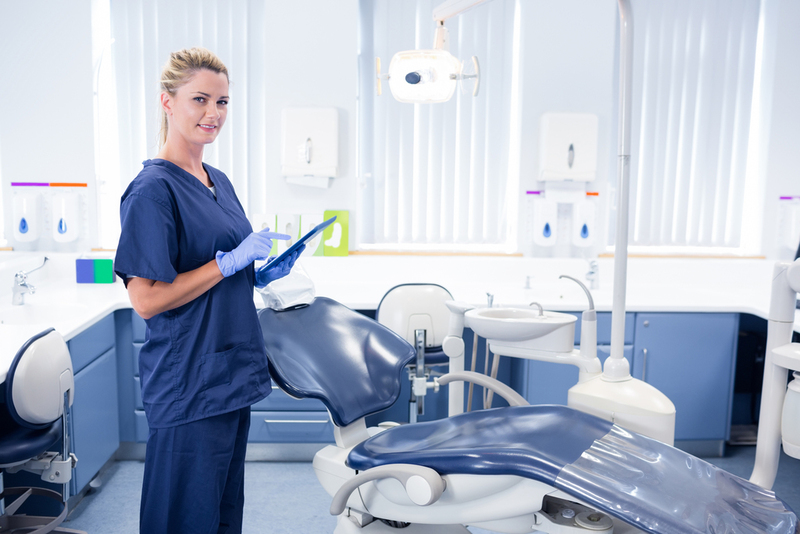 Here are areas to focus on when improving patient privacy in dental offices. Dental offices are increasingly choosing to store dental records digitally— and for good reason. Electronic record systems benefit dental offices by freeing up time staff members would normally spend searching for physical files, reducing costs dedicated to paper supplies and physical storage space, and creating accurate and secure systems of communication with patients and other medical entities. However, one of the greatest benefits of digital records for patients involves the added security measures available. Because digital copies are often backed up online, a patient’s dental records won’t be threatened by natural disasters such as floods, tornadoes, and fires. This means a patient’s entire history won’t be wiped out by sudden, unexpected events. Electronic record systems are also protected by barriers like encryption, firewalls, and passwords. The paper record equivalent of these protections might involve locking dental records in an extremely strong vault, which is less feasible when you consider the space, time, and financial requirements involved. While it’s true that data breaches get a lot of attention throughout the medical field, it’s important to note that cybersecurity specialists will continue to develop new protections against these as well. For example, many healthcare facilities are shifting toward blockchain security solutions. Rather than storing sensitive data in a single location, these systems spread information across many networks and require unique digital signatures from each digital “block” in the chain in order to access or alter records. Of course, while electronic health records and database security tend to get a lot of attention, not all breaches of patient privacy involve digital technology. For example, someone working the front desk may be familiar with many of the patients who visit the office. Taking on a casual and welcoming tone can help dental patients feel calm and happy when they visit. However, the situation can quickly take a turn for the worse if a receptionist mentions seeing a mutual friend in the office earlier in the week. Or perhaps the staff member mentions the procedure being done or how good it is to see them again so soon. Aside from violating HIPAA regulations, this can make patients feel exposed and vulnerable when seeking dental treatment. Even if no one else is in earshot, sharing this information so casually can erode a patient’s trust in your practice. Despite security measures, staff members might still make simple mistakes which could lead to major breaches of privacy. Sending out mass emails is a convenient way to communicate with large groups of patients at once. However, if the sender fails to select the blind carbon copy (Bcc) feature, everyone who received the email will have a list of other patients’ private contact information and potentially information about specific programs and procedures these patients may be involved with. It is no small challenge to keep your patients’ information safe, especially in an increasingly digital world fraught with ever-evolving risks. Yet, by creating ongoing training opportunities related to these issues, you can ensure that everyone involved in your dental office is familiar with the problems and solutions related to patient privacy, which will help maintain patient trust in your team and make it easier for them to seek dental treatment when they need it.